C. MICHAEL DEESE, a partner in the Washington, D.C. office of Howe & Hutton, Ltd., graduated from Davidson College (A.B. in Political Science, 1973), the University of Pennsylvania Graduate School of Arts and Sciences (M.A. in International Relations, 1976) and the University of Pennsylvania Law School (J.D., 1976). Mike has served as a member of the Board of Trustees of Davidson College. He has practiced law in Washington for over 38 years, focusing primarily upon the representation of national and international nonprofit organizations. 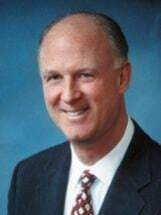 His work on behalf of trade associations, professional societies, charitable organizations and their related entities has included corporate matters (incorporation, mergers and consolidations, bylaws development, obtaining and retaining tax exempt status, consulting regarding insurance coverage, review of publications and advertising, development of codes of ethics and certification and accreditation programs, and antitrust and tax compliance, including board member training), contract negotiation and drafting (with convention centers, hotels, endorsed product and service providers, publishers, website development and maintenance providers, association executives and association management companies), litigation (Title VII, ADA, First Amendment and contract disputes) and general counseling regarding the antitrust, tax and other consequences of client actions and programs. Mike currently serves as outside general counsel to numerous national and international nonprofit organizations as well as several regional associations and to numerous automobile dealer advertising associations. Mike is a member of the Legal Section of the American Society of Association Executives, where he has served on the Editorial Advisory Committee for the Section's Association Law & Policy newsletter. Also a member of ASAE's Association Management Company Section and of its Section Council, Mike authors articles for that Section and speaks frequently on association governance and other legal topics, both at ASAE conferences and at conferences of other organizations including The AMC Institute.